Nice post! I have the first gen of these gloves. (Red/black with what looks like latex palms) I love the concept but found them less useful in the field. Hard to get on/off, super snug, and the palms cracked. If I was in a dry tooling comp its the glove I’d choose. I switched to the no-frills OR vert for leading. Despite being just a think piece of fabric, I like the vert glove but they are wearing down. This really interest me though because based on your description and the image they look considerably different. I will withhold judgement because I do like OR gloves and it could be that these are radically different. I also need to look into those ems warmers. Thanks for commenting Chris. I have no experience with the first generation of these but I can not imagine the leather used in this updated model cracking. It is really an odd sticky leather that feels like it could never dry out and crack. I’m not joking or preaching when I say you really need to touch this material to see how sticky it is. As for those glove liners, for $15 I have a few pairs on standby in case I lose a glove. 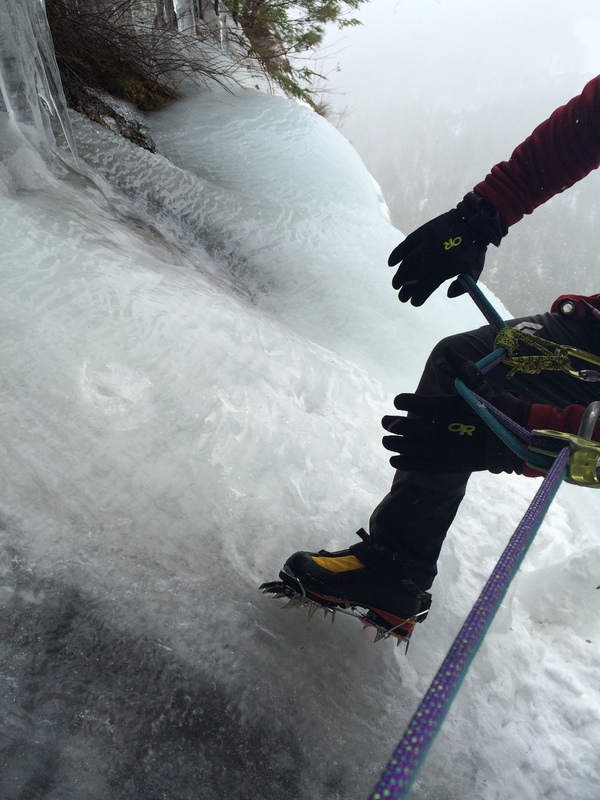 They are super thin and let me adjust mine, or my clients, crampons in the harshest conditions without having to bare skin. I think of them as underwear for my hands… they never come off. 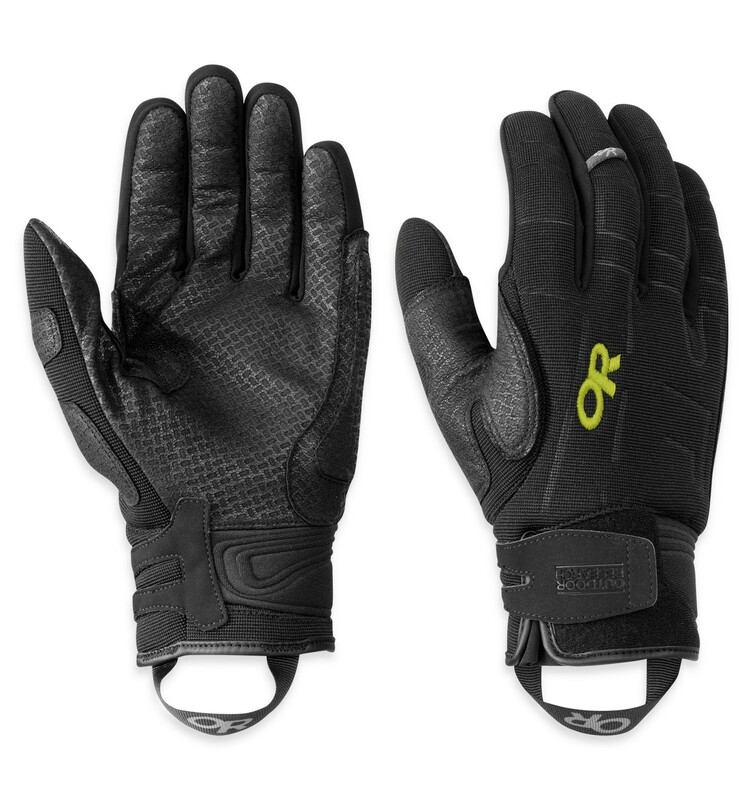 My favorite gloves for late-spring and early-summer ski mountaineering! Since I use them in warmer weather, without any liners, the overall dexterity and grip is actually better than my bare hands. Just one criticism though: the latest version (i.e, in all-black) initially has lots of dye “bleed” on warm sweaty days (with no liner in between bare hands and the gloves). Not a deal killer on a daytrip with quick access back in civilization to soap & hot water, but had I used this pair for the first time on a multi-day trip to the Randolph Mountain Club’s Gray Knob hut, would have been ugly!